Unique lipgloss that can create exclusively shiny “glassy” effect on the lips, or discrete, soft luster. 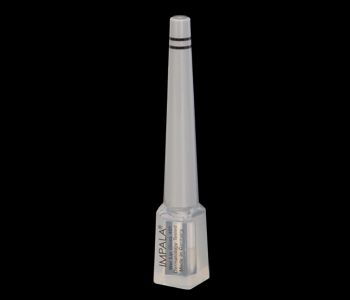 Developed to be used on lipstick, lip pencil or separately, applied by inner applicator “doe-foot” type. Little quantity from this product mixed with color pigments will be enough to create amazing highlighter effects on cheekbones or under eyebrows (for easier application we recommend IMPALA Highlighter Brush №6).